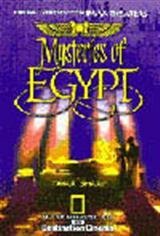 Legendary actor and native Egyptian, Omar Sharif guides you through the many mysteries that surround the over 5,000 year old Egyptian civilization. Learn about the construction of the pyramids and explore the burial site of Tutankhamen. Discover the techniques used to study the ancient Egyptian culture.